GetDivorcePapers.com provides professionally completed, 100% court-approval, money-back guaranteed Washington divorce forms. Just create an account, complete the interview, and file for divorce. Our case managers do all the work for you, and send the completed Washington divorce forms when they are ready to be filed. It is mandatory for either of spouses to be resident of Washington or member of forces stationed here before filing divorce case. Divorce papers can be submitted into either of counties where both spouses live. There is a waiting period of 90 days in Washington. Divorces in Washington are given only if the courts feel that some irretrievable breakdown has occurred in the relationship. For this reason, it only accepts the valid reasons in divorce cases. Both the spouses are required to agree with the reasons and both have to validate them later on throughout the proceedings of the case. Plan for the child's residence. Decision making authority for the child. Agreement of both spouses for mutual decision making. Any symptoms of child abuse. Chances of cooperation in decision making by both parents. Association of child with parents. Will of child if he is capable enough to take decision. Economic stability and financial strength of each spouse. Quasi property is also considered to be a part of marriage property in the case and it is divided as well. Time needed by a spouse to get appropriate knowledge and skills for employment. Capability of the spouse that has to pay for the alimony. Age and physical condition of both spouses. These maintenance payments are made by the clerk of the court. Courts in Washington have the rights to order either of the parents or both to pay for the child support. No reason for the divorce is taken into account in this regard. There has been formulated a worksheet for the estimation of the child support amount. This can be accessed by the courts and parents are required to pay the amount which is decided unless it is unfair. If the amount seems to be unjust for either of parents, then it can be reassessed to get a reasonable one. Moreover, court can also demand for the wage assignments for the surety of child support payment. Either upon the request of any of two spouses or the court on its own may suggest the mediation for the spouses. If there arises any issue of child custody, then court may ask for the counseling of the parents which can be mandatory as well. Report from the counseling service can also be crucial for decisions. 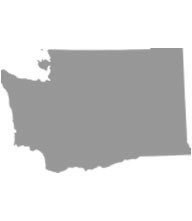 There is no need of a lawyer when applying for divorce in the state of Washington. A divorce case which is filed without any help of an attorney in any of the states is known as Pro Se Divorce. Literally, Pro Se is a Latin phrase and it means "on her or his own". Process of getting the divorce without the help of lawyer may vary from one State to another. These types of divorces are perfectly legal and enforceable in Washington, and are actually very convenient. Usually, once settlements have been made regarding property distribution and custody matters among the spouses in case of a mutual divorce, Pro Se Divorces are filed.